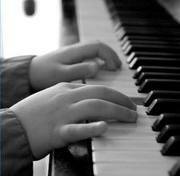 Why Choose a Piano Moving Expert? There are more than just a few good reasons to choose a specialist when your piano needs moving, especially when it needs to travel a long distance to get to its new home. The most obvious reason to call a professional for piano moving is weight. Simply put, pianos are heavy. A great deal of the extreme weight associated with any piano comes from the solid cast iron harp that holds all of the strings. No matter what the size, add to that a specialized wood casing and heavy wooden sound board, thousands of mechanical parts made of various materials and more, and even the smallest pianos (such as spinets, consoles) easily weigh in at 300-400lbs or more. 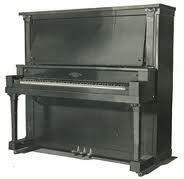 Larger upright pianos vary in size and height but usually starts around 500lbs. The largest upright pianos can weigh up to 800lbs or more and an upright player piano will likely weigh in at over 900lbs. Grand pianos, of course, are no different. 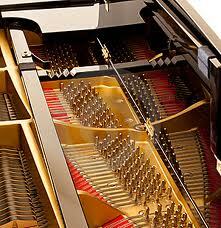 The smallest grand pianos (usually starting at 54in long) have an average weight between 500-600lbs. 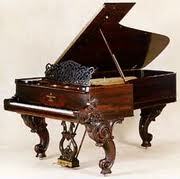 As grand pianos increase in size and length naturally their weight increases also. Larger grand piano cans weigh up to 1000lbs and some of the largest specialty grand pianos will weigh in at a whopping 1200lbs or more. Thus, with an average weight of a quarter to well over half of a ton, moving your piano is simply not something to be taken lightly! If weight were the only factor, moving a piano might be as simple as calling a bunch of your strongest and bulkiest friends and asking them to come over and show off their muscles. But it just isn't as simple as that. By nature, pianos are large and extremely awkward. 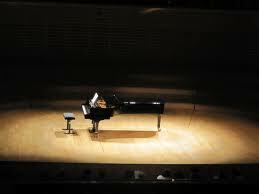 Grand pianos especially have a very unusual shape, and upright pianos are often unusually tall. 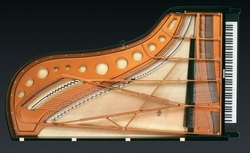 All pianos, whether grand or upright, are built such that it makes it difficult to near impossible to evenly distribute their excessive weight. One small shift up or down or in any direction can create a dramatic and unexpected shift in balance, weight and inertia. All of this makes lifting, carrying, turning and maneuvering any piano in or out of any home or building - even more so around tight corners or up or down stairs - a job that requires specialized knowledge and experience to do safely and efficiently. Speaking of which . . . While it has long been used as a scenario for cartoons and comedy, the simple fact is that an out of control piano is no laughing matter. 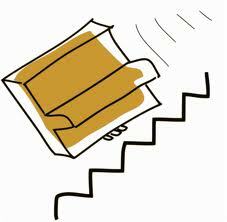 Serious injury is a real possibility when attempting to move a piano without the proper care and precaution being taken and adequate foreknowledge and experience of what can happen. Even a mild injury, such as an improperly pulled muscle or strained back, can leave a lasting impact, possibly even lifelong. Along with that, serious damage to home, building, property and of course to the piano itself is a frequent risk every step of the way. No two ways about it, a piano is a big ticket item. When they were first invented in the late 1700s they were the very first meaningful brand names, status symbols and the first major item sold on an installment loan basis. It isn't much different today. New pianos are rarely purchased outright and older pianos, especially rare or highly desired models and antiques, can still hold a great deal of monetary value. Any damages as a result of moving (from a scratched finish to a broken leg, cracked casing or worse) can be extremely costly and adequate repairs may cost a small fortune. What's more, the wrong attempt to move your piano can be a serious detriment to your investment by sharply decreasing its value. But so too, in reality pianos are highly sophisticated and delicate mechanical, musical instruments.Thousands of pieces of wood are glued together to form various parts of the playing mechanism and all told a piano contains over 7500 moving parts all finely tuned, adjusted and tempered to make it possible to produce the most beautiful of music. If compromised even slightly during a move, your treasured musical instrument just may never be the same. While a regular moving company may be able to handle some of the above considerations, in all likelihood they may not be properly trained nor have the specialized knowledge needed to protect and care for your pianos full and complete integrity while moving. But pianos also carry with them something else. something which is always well beyond monetary value. Whether a prized family heirloom, a cherished instrument for a professional musician, or the simply the source of invaluable family happiness and memory, pianos are simply like nothing else. They are a work of art and in all circumstances a treasure. When it comes time to move, both you and your piano deserve the absolute best. Don't settle for an ordinary moving company and don't attempt this special job yourself. Call the Experts!